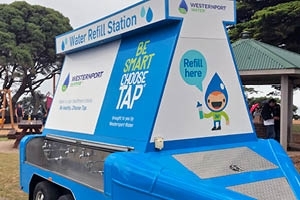 Westernport Water has two portable drinking water stations, where a water mains connection is available at your event. They are available to the community to provide convenient access to water for people attending events. Suitable events are anything to do with sport, health & wellbeing, fundraising or community events. Community sponsorship Westernport Water enjoys supporting the community and the environment. Our Hydration Station is available to the community to provide water as a form of sponsorship. Applicants are not entitled to the service, however sponsorship will be considered for not-for-profit organisations or community groups (within Westernport Water’s service area) that are hosting events that have a close link to sport, health & wellbeing or are simply fundraising for the community. For smaller events a Hydration Station portable trailer can be hired. It is available to the community to provide convenient access to water for people attending events. Suitable events are anything to do with sport, health & wellbeing, fundraising or community events. 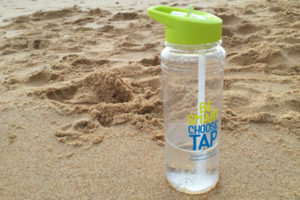 One-day hire $AUD660.00 (GST inclusive), which includes 50 drink bottles for your guests, valued at $300. All requests are considered. Please don’t hesitate to contact us to discuss your specific needs. If you believe our Hydration Station could be a positive addition to your next community event, please fill in our enquiry form below. **Please allow at least four weeks notice when booking due to water quality testing timeframes and staffing. An application submitted within the four week timeframe may not be processed in time.